2016 has a been a TREMENDOUS year of wins for Liberia. We had local heroes taking the nation on international platforms and making big changes locally. It is only right that we honor these folks for such an amazing job. kudos to everyone who played a role! Check out the names of those who made our list. 1. 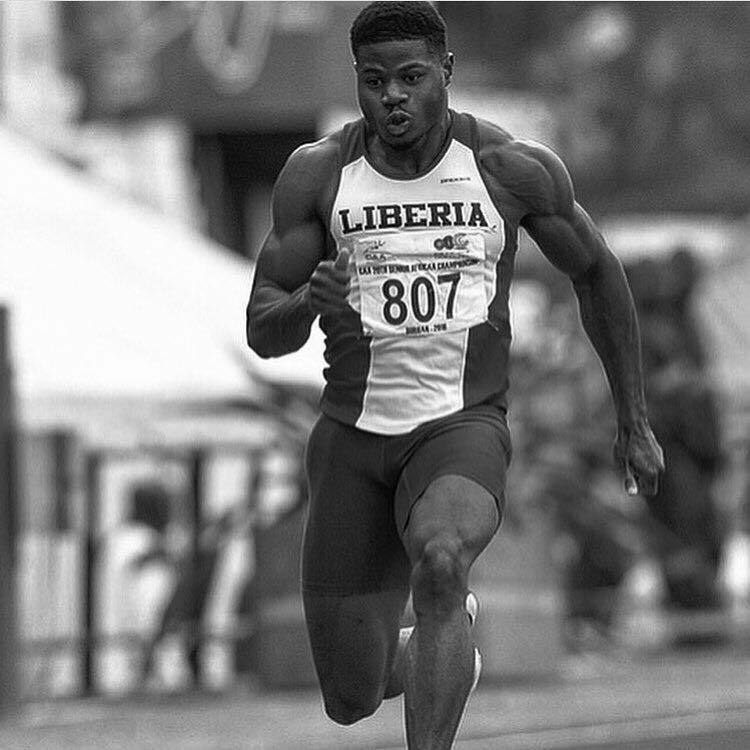 Emmanuel Matadi: Being glued to the TV to watch him represent Liberia at the Olympic was everything for me. I was so proud and yes, he is a winner in our eyes. He ran his first-round race in 10.31 seconds to finish sixth in his heat. Amazing. Kudos. 2. Mariam Kromah: Yes, she was right up there with Matadi. She came fifth-placed in the 400 meters Heat Six with a time of 52.79 seconds and leveled with Aliyah Abrams of Guyana in the 38th place on the overall rankings of 57 competitors. 3. Master Junior Pewee Russian: Represented Liberia at the 11th Zhengzhou China International Shaolin Wushu festival, held from October 16th to 20th, 2016 in Zhengzhou, China. Master Pewee participated in the International Male Group C 42 Style TAIJI QUAN, winning a gold medal and he also participated in the Shaolin Gunshu, winning the silver medal. 4. Anthony Snoti Laffor: South Africa based Anthony Laffor is the first Liberian player to win the Confederation of African Football (CAF) Champions League. 5. Chef Thalmus Hare: After graduating from The Art Institute of Atlanta with a culinary degree, Chef Thalmus decided to pursue his passion for cooking, opening the biggest online Liberian food business in the world. Chef Thalmus is the CEO and owner of Libfood. 6. Lekpele M. Nyamalon: Lekpele M. Nyamalon, burst to the international stage in 2015 when his poem, “Forgotten Future,” was selected as the winning poem for the Young People Today World Poetry Day competition. Today, he is a Poetry Fellow with the Open Society Initiative for West Africa and was one of the speakers at the TEDxMonrovia event on Monday, Nov. 28. 7. Patrice Juah: Fashion designer, poet, and entrepreneur Patrice Juah visited Geneva during Global Entrepreneurship Week. She was a keynote speaker at a UN event on entrepreneurship and migration and received training from the International Trade Center’s SheTrades team on business development, product promotion, and negotiating skills. Patrice Juah is a Mandela Washington Fellow for President Obama’s Young African Leaders Initiative (YALI), and the Managing Director of Moie, an ethnic brand promoting Liberia’s textile industry and creative sector. Her visit was sponsored by the U.S. Mission in Geneva. 8. Deddeh Howard: Deddeh Howard took over the media with her "Black Mirror" campaign, recreating major fashion ad, addressing the industry diversity problem. 9. Maven Maisie Dunba: Celebrity beauty expert and Bluffa Jo Cosmetics creator, a luxury, yet affordable brand. Maisie has also sold Bluffa Jo in Lagos, Nigeria, and in her hometown of Monrovia, Liberia. Maisie, a licensed makeup artist and nail and body therapist, is owner of the award-winning Maisie Dunbar Spa Lounge located in Silver Spring, Md. 10. Mike Swengbe: Mike Swengbe is the only fully own Liberian club owner within the United States. His club "Bakadi" is a major instrument within the Liberian community within Charlotte, NC. 11. Archel Bernard: Ms. Bernard, 27, a Georgia Tech graduate, moved back to her parents’ native Liberia in 2011 after deciding that postwar Liberia may be an easier place to find a job than the post-recession United States. Today, she owns one of the most high-fashion factory in Liberia. She is the owner and CEO of Bombchel Factory. 12. Precious Lakis: CEO and owner of Precious Pieces Couture, she is the winner of the Liberian Entertainment Awards 2016 Best Designer. Precious designs were worn at the LEA by 30% of the females who attended the event. 13. DenG: DenG was nominated for the MTV Base Africa 2016 Best Listener Award, becoming the first Liberian nominated for MTV Base Africa. DenG successfully toured Australia, United States and attended the MTV Base Africa awards 2016, in South Africa. 14. Miracle Gbaye: Miracle is the first Liberia comedian to have 1million views within a week. 15. Tarkus Zonen: CEO and owner of the Liberian Entertainment Awards, Tarkus Zonen had a very successful event this year, making the Liberian Entertainment Awards the biggest African event within the United States.